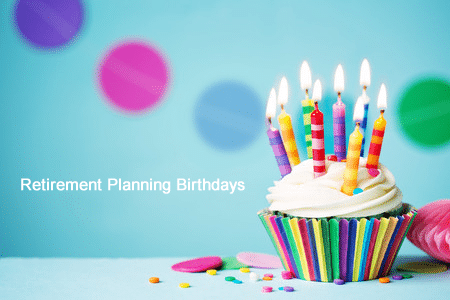 When planning for retirement, there are ages, or birthdays, that matter more than others and can make or break your portfolio. This is because of IRS rules and penalties like contribution limits, early withdrawal penalties, and eligibility ages, just to name a few of the items among the cumbersome and extensive Title 26 of the United States Code, commonly known as the Tax Code. The retirement planning ages that you really need to be aware of are 50, 59-1/2, 62 + one month, 65, 66 or 67, 70, and 70-1/2. If you incorporate these ages into your retirement plans, it could substantially help increase your nest egg as well as your retirement income in your golden years. 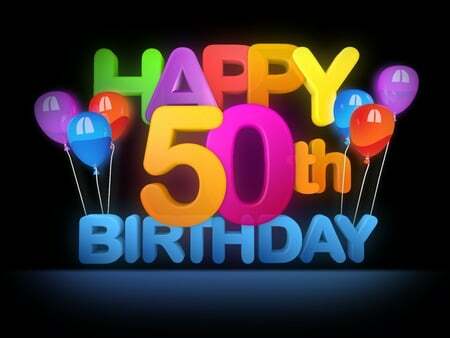 At age 50, you are eligible to make “Catchup Contributions” to your 401(k) or IRA retirement accounts. Prior to age 50, the maximum contribution limit to either a 401(k) or IRA is $18,000 according to the new rules for 2017. Once you turn 50, you are now able to increase your contributions to your 401(k) or IRA by $6,000 annually, thus making your maximum contribution limit $24,000. These contributions to your 401(k) or IRA are tax-deferred, so you won’t be taxed on them until you start withdrawing money from your accounts. Catchup contributions are designed to be exactly that, a way to help you catch up for previous years when you did not contribute as much as you would have liked into your retirement accounts. At 59-1/2, the 10% early withdrawal penalty is rescinded. Prior to reaching the age of 59-1/2, there is a 10% early withdrawal penalty imposed by the IRS on 401(k) accounts, IRAs, and other tax-deferred retirement plans. Unless you are planning on retiring at 59-1/2, it is still a good idea not to withdraw money from those accounts, but to let them continue to build until you are ready to retire. Keep in mind that when you withdraw money from your 401(k) or IRA, you’ll have to pay taxes on the money withdrawn. 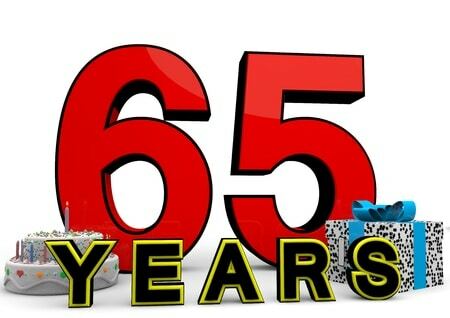 At one month past your 62nd birthday, you are eligible to start receiving Social Security benefits even though you have not reached full retirement age. However, receiving Social Security benefits at 62 and one month comes at a cost. Full retirement age is currently 66 and if you start collecting benefits at 62, the reduction of monthly payments is substantial – a whopping 25%. The reduction in benefits at 63 is approximately 20%; at 64, it is around 13.3%; and at 65, it is about 6.7%. Just because you can receive benefits does not mean that you should. If you can hold off on receiving Social Security benefits until the age of 70, you can maximize the amount of your monthly payments. Medicare is the federal health insurance program for individuals age 65 and older in the US or those with disabilities. You can begin the enrollment process up to three months prior to your 65th birthday. Medicare is divided up into 4 parts, Medicare Part A, Part B, Part C, and Part D. Medicare Part A is essentially hospital insurance and covers hospital stays and some nursing and hospice facilities. Medicare Part B is for medical and preventative medicine. Medicare Part D is for prescription drug coverage. It is strongly advisable to review your Medicare options well in advance of your 65 birthday so that you will be prepared for enrollment. Calculating full retirement age is a bit tricky. 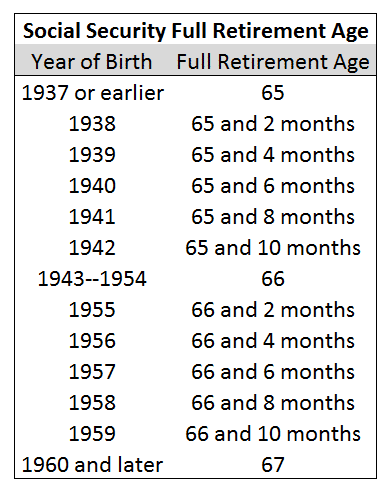 If you were born in 1937 or earlier, full retirement age (FRA) is 65. If you were born from 1943 to 1954, FRA is age 66. If you were born in 1960 or later, FRA is 67. The remaining years are where it gets tricky. Please refer to the chart below for your full retirement age. Again, we must reiterate, it may not be in your best interest to start drawing Social Security benefits just because you are eligible. If you can wait until age 70, it might be a good idea to do so. 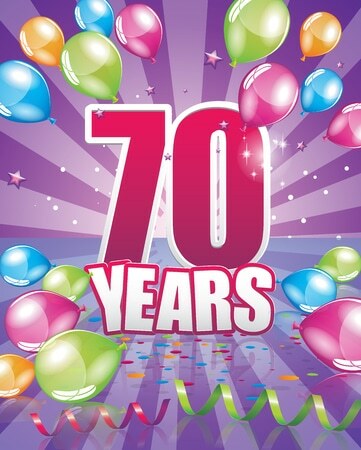 Once you hit 70, if you haven’t already signed up to receive your Social Security benefits, now’s the time because your benefits won’t go up any further once you turn 70. Once you reach full retirement age, your Social Security benefits continue to go up by approximately 8% each year you wait to claim benefits. At 70, you max out your benefits by as much as 24% more than you would have received at full retirement age. Another reason to wait until 70 to begin to receive Social Security benefits is if you are the higher-earning spouse and are seeking to assure that your spouse gets the highest benefit possible. When you start collecting Social Security benefits will depend on your specific circumstances. It would be a good idea to discuss your situation with a financial professional before finalizing your decision. Tax-deferred accounts such as 401(k)s and IRAs are subject to required minimum distribution amounts as mandated by the IRS when the account holder turns 70 and a half. The penalty for failing to comply with this mandate can be as much as 50% of the amount you should have withdrawn, so you’ll want to get this right the first time. Minimum Required Distributions affect most qualified retirement plans and IRA accounts. These plans include individual 401(k)s, Traditional IRAs, 403(b)s, profit sharing plans, inherited IRAs, Savings Incentive Match Plans, and other similar plans. Distributions may be taken monthly, quarterly, semi-annually, or annually as long as the annual total meets the minimum required distribution as detailed by the IRS and is withdrawn by the IRS deadline. For more information on Required Minimum Distributions (RMDs), the IRS goes into great detail here. These are by far the most important ages to consider as part of your overall retirement plan. Each one is significant and could mean the difference between a safe and secure retirement or struggling to make ends meet in retirement. Don’t take anything for granted. If possible, seek professional help. America is facing a retirement crisis and you don’t want to be one of the many that are financially unstable in what should be your golden years.